The bucket hat is a well made heavy cotton hat. 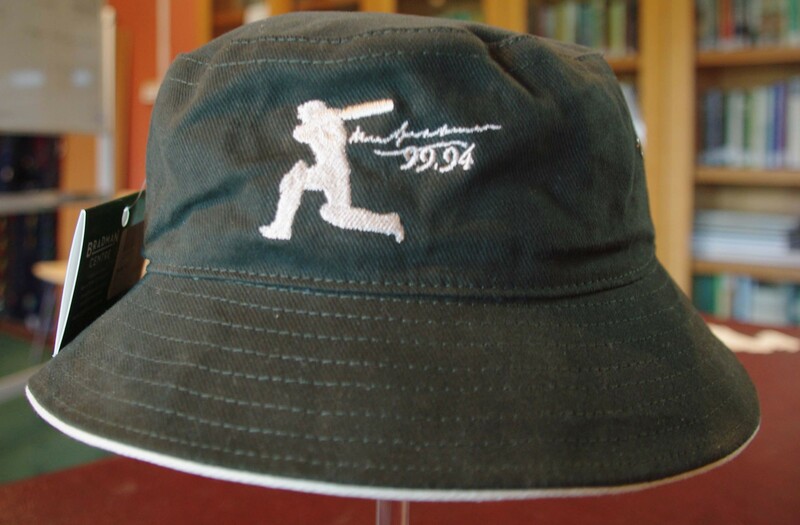 It has the famous Bradman coverdrive logo embroidered on the front along with Bradman signature and 99.94 logos. A bucket hat is a headwear design with a wide and downwards sloping brim. This hat is made from heavy-duty cotton fabric, with two metal eyelets placed on each side of the hat for ventilation.